The list of actresses who dated cricketers is pretty long but we decided to concentrate on the recent ones. Here’s the list that wins our vote. Hazel Keech – Yuvraj Singh: This one wins the maximum votes because the two recently got married. It’s quite a cute love story isn’t it? Geeta Basra – Harbhajan Singh : They got married too after giving the tabloids a run for their money. 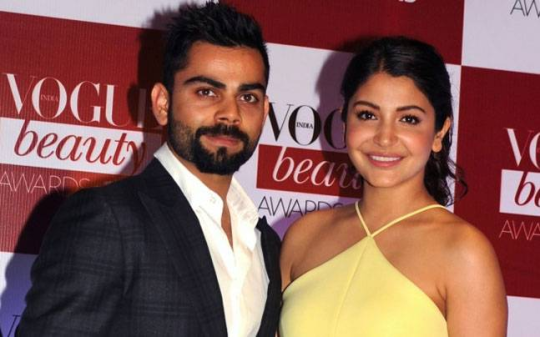 Virat Kohli – Anushka Sharma : Well, they have some road to cover before they want to settle down. And given their current run, both of them are doing pretty well in their respective careers. Isha Sharvani – Zaheer Khan : Well, we were quite excited about this pair. It’s a thing of the past though. Sara Jane Dias : Apparently Virat Kohli was in a steady relationship with her before he started dating Anushka Sharma.